Siam Orchid is a Thai-Japanese restaurant located @ 1275 North Atlantic Ave. (A1A La Quinta Hotel) in beautiful Cocoa Beach, Florida. Experience the excitement and skills of our master chefs right at your table. A meal at Makoto's is one to remember. Bean Sprout Asian Cuisine & Sushi Bar is Viera's Premier choice for Authentic Asian fare. 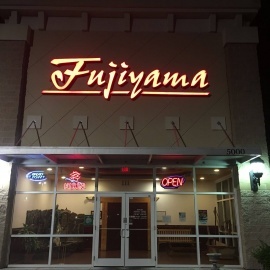 A place for the best authentic Thai cuisine and modern sushi in Cocoa Beach.